Fujiwara Teika, the celebrated 13th-century poet, fell asleep on the veranda of the Shinto shrine in Sumiyoshi. The god of poetry, to whom the shrine is dedicated, appeared to the poet in his dreams in the ghostlike form of an old man. 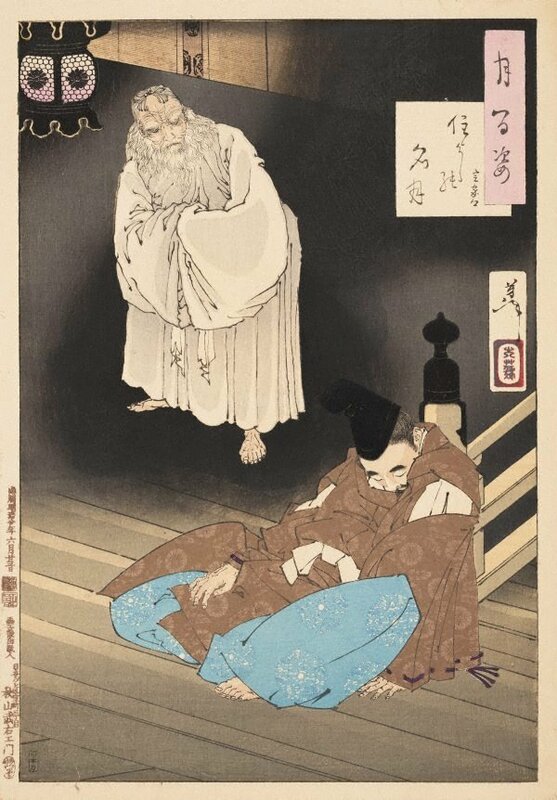 Floating above Teika, the deity in his white robes appears to take the place of the full moon, which is missing here.